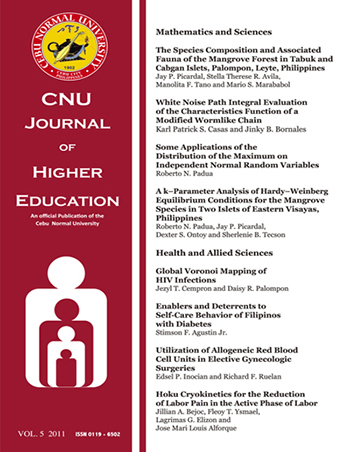 The CNU Journal of Higher Education is the official publication of the Cebu Normal University. It features scholarly articles in various fields such as Education, Mathematics and Science, Health and Allied Sciences and Public Governance. This journal is published annually and is accredited by the Commission on Higher Education Journal Accreditation System.